Driving a vehicle that gets you from one point to another safely and reliably is the most important factor in vehicle selection. Frills and bells and whistles aren’t necessary.But let’s be honest. Sometimes they’re nice. Consider the amount of time the average person spend in a car: work, errands, family obligations. If you are the type of person who wants an experience out of driving rather than treating it as merely a necessity of everyday life, you will certainly find yourself creating excuses to drive in the 2018 Acura RLX. 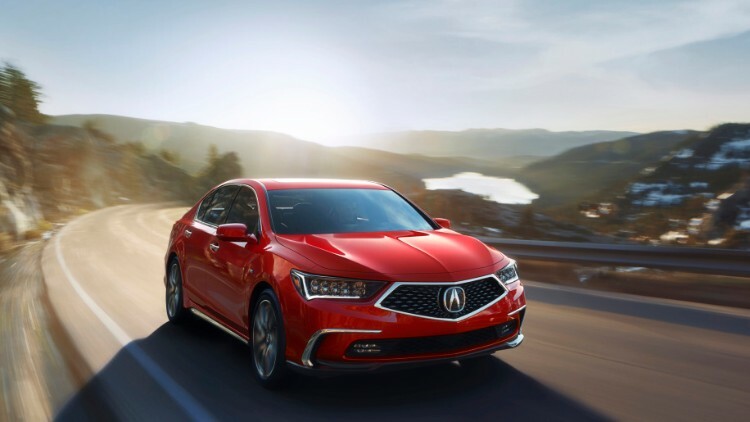 This premium luxury sedan’s top-notch performance on all levels is the most sophisticated and best-performing sedan produced by Acura yet. The standard version of the RLX averages 20 city miles, 29 highway miles and 23 combined miles per gallon*. This front-wheel drive 3.5-liter V6 version of the RLX features an all-new 10-speed automatic transmission. Acura proudly stands by its Sports Hybrid model, lauding it as its most sophisticated and best-performing Acura sedan. The Super Handling All Wheel Drive feature sends and regenerates power from the rear wheels, which is just another way in which this vehicle is one of its kind. The 377 horsepower shares supercar technology with the NSX, thus providing an amazing driving experience unmatched by any vehicles of the its class This all-wheel drive model includes a 7-Speed DCT with SportShift paddle shifters. The Acura’s 3-Motor system pairs luxury with the instantaneous torque. Double wishbone front suspension also contributes to this car’s meticulous manufacturing, exquisite details, and top-notch performance. Whether you own this car for a day, a week, a month or a year, you will be struck by the supreme craftsmanship of all interior aspects of this vehicle. Of particular note is the spacious cabin with its exceptional amount of legroom, a design that was made possible by a transverse engine layout. But perhaps you will be most struck by the four interior colors with matching wood-grain finish, the driver and front passenger 12-way power seat with 4-way lumbar support, stitched leather instrument panel, or the on demand multi-use display. If that weren’t enough, a double-hinged armrest is available for the driver and front-seat passenger to store wallets and cell phones. USB and charging ports are also found in the armrest. The exceptionally soft, perforated Milano leather with four distinct levels of both soft and firm provide the perfect combination of comfort and support. The driver’s side automatic memory system records preferences for the driver’s seat, steering wheel and side mirror positions to make sharing this vehicle with a partner, child, or other family member—although you will probably want to keep this car to yourself. Additional perks of the RLX Sports Hybrid includes heated and ventilated front seats, available head-up display, heated outboard rear seats, heated steering wheel, a Krell® audio system, an electronic gear selector, a surround-view camera system, LED fog lights, remote engine starter, front and rear flush parking sensors, and front windshield de-icer systems. The RLX is as technologically savvy as it is sleek. The Advance Package’s Surround View Camera System provides a three-hundred-sixty-degree view of your prized vehicle’s surroundings. Technological features including GPS-linked automatic climate control, keyless access and smart entry systems. The leather-wrapped steering wheel is equipped with numerous controls including electronic tilt and telescopic steering column. The mounted steering wheel controls include audio volume and station controls, phone multi information display, voice recognition system as well as other features that aid in vehicle safety. 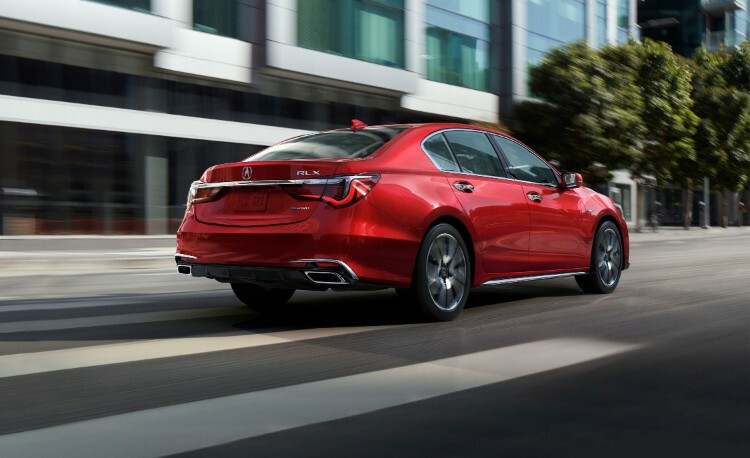 The RLX comes equipped with the Acura Navigation system which enables you to gain a 3D view, transmits real time traffic and weather conditions, provides traffic rerouting, a compass, and a smartphone interface. One of Acura’s mission statements is to secure a spot as a leader of safety innovations in luxury sedans. With the 2018 Acura RLX, the company has transformed its words into a reality. The RLX has received a five-star Overall Vehicle Score from the New Car Assessment Program, a branch of the National Highway Traffic Safety Administration (NHTSA)***. The RLX Sport Hybrid received five-star rating in both the side crash and rollover tests***. A multi-rear view camera, a blind spot information system and an auto on-off headlight operation with wiper integration further ensure that this vehicle has been designed with safety as a priority. The RLX comes equipped with a Supplemental Restraint System equipped with dual-stage, multiple threshold front airbags, front side airbags, side curtain airbags and Driver’s knee airbags. Built-in child’s safety seat anchors, LED daytime running lights, side impact door beams and a tire pressure monitoring system are additional safety components of this car. The vehicle’s stability assistant system also illustrates that the 2018 Acura RLX was designed with safety in mind. This system continually monitors vehicle speed, throttle position, and individual wheel speeds. When unstable conditions such as slick roadways, inclement weather, or roadway obstructions appear, the stability system jumps into action. Automatic brakes are applied as needed to each wheel. This action serves to help stabilize the vehicle in a situation in which the driver may otherwise oversteer or understeer. Perhaps the most amazing aspect of this system is that the majority of the time the problem is corrected so quickly the driver is not even aware there was a problem. If only all of life could be approached with such ease! 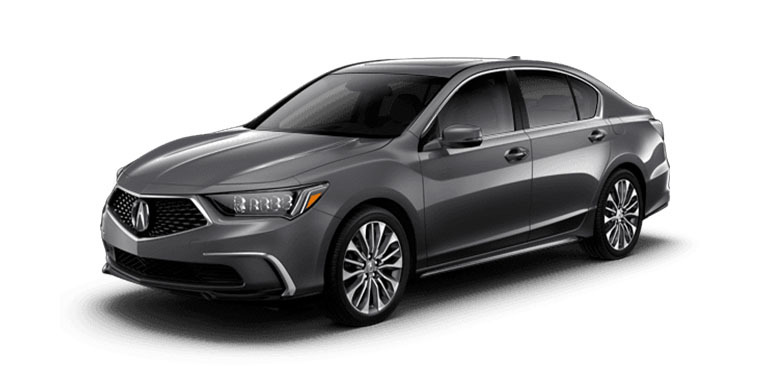 Further illustrating its commitment to both safety and style is the class-leading AcuraWatch™ system, which is available with both the RLX and the Hybrid Sports models. This system helps every driver prepare for the unexpected through its Collision Mitigation Braking and Road Departure Mitigation systems, Adaptive Cruise Control, and Lane Keeping Assist. Lastly, if you purchase a 2018 RLX, you will also have access to an all new AcuraWatch component—the Traffic Jam Assist. Choosing a 2018 Acura RLX in NH is not a risky, bold decision that typically comes with luxury car buying. Instead, it’s seen as calculated move that will ensure you get a reliable luxury vehicle for a great price. Acura has made it extremely easy for car buyers to have their cake and eat it too. No more choosing the affordability of a non-luxury car over the perks and features of a luxury car. By choosing the Acura RLX, you’ll not only save money on your next car, but you’ll be in a car worth showing off to friends and family! To start your world-class car buying experience, browse Sunnyside’s inventory online and find a new RLX that fits your needs. For personalized help, feel free to contact us, or just stop by our convenient location at 482 Amherst Street in Nashua, just up the road from Nashua Community College. We look forward to earning your business! *Based on model year EPA mileage ratings. Use for comparison purposes only. Your actual mileage will vary, depending on how you drive and maintain your vehicle, driving conditions, battery pack age/condition (hybrid models only) and other factors.